Reunion is a time to celebrate years of learning, friendship, changes-challenges and memories which are relished for a life-time. 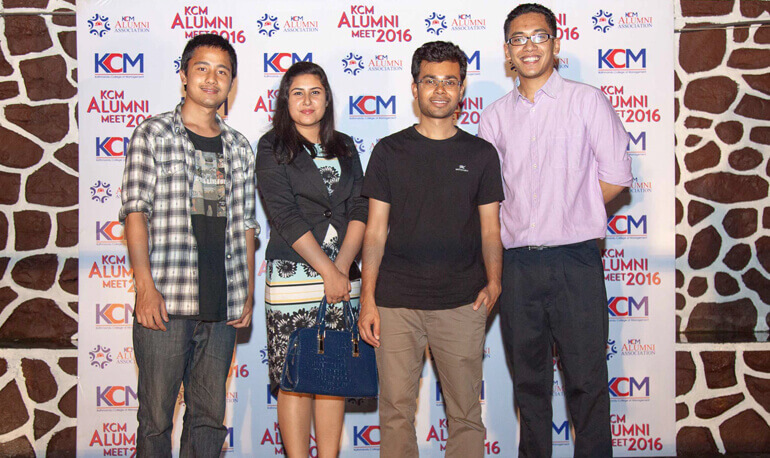 KCM Alumni Association and Kathmandu College of Management organized the 3rd KCM Alumni Meet on the KCM premises this year. Ex-KCMites from the class of 2000 to the class of 2015 gathered together in their alma-mater and spent the evening reminiscing their college days. The event marked the announcement of the formation of KCM Alumni Association. KCM Alumni Association targets to promote the welfare of Kathmandu College of Management and serves the interests of its alumni.